Stylish and tasteful of Mekan Istanbul Restaurant captures its guests’ eyes straight away, as they enter into this bistro that serves authentic delicacies of Turkey in traditional way. The rich taste and luscious flavors of Turkish dishes offered at this restaurant perfectly complements the elegant decor. Therefore, it attracts locals and expats of Turkey in decent numbers. Specialty of this eating place is its succulent kebabs as their tenderness, spice and great taste is hard to match. Folks of Dubai can find this eatery in a thinly populated district of Deira, Dubai. From where different leisure sites such as Deira City Centre, Dubai Creek, Golf Club and lot more are not too far. Moreover, there are numerous local transport stops close to it. Mantar dolma, Tas kebab, iskender kebab are Turkish varieties that patrons of this restaurant will find on the menu along with range of other regional dishes, which are prepared from finest ingredients and following authentic recipes. Due to this reason, people of Dubai love the food of this bistro and return to this venue over and over again. Staff is also attentive and provides prompt service that also keeps the guests contented. Chefs also strive hard to prepare delicious and full of quality food in this eatery. 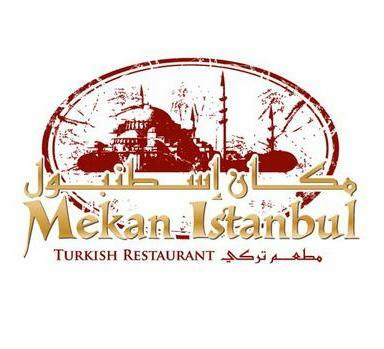 See the menu of from Mekan Istanbul Restaurant, here. Mekan Istanbul operates on all days of the week between 12:00 pm and 1:00 am. 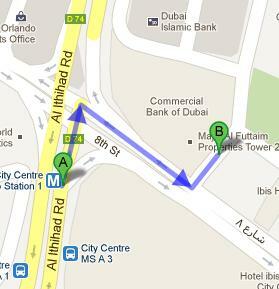 Al Ittihad Street, City Seasons Suites, Deira, Dubai. From Deira City Centre Metro Station 2, Mekan Istanbul Restaurant is just 4 minutes walk, as gap between them is 280 meters. So patrons of this metro station should head in the north course on Al Ithihad Road towards 8th Street and then turn right onto 8th Street. Afterwards make a left turn and the soon destination will be on their right side. Bus number 53 serves the nearest bus station to Mekan Istanbul Restaurant that is City Centre MS A 3 – Dubai. As this bus stop is located 350 meters far from Mekan Istanbul Restaurant, which makes it 5 minutes walking journey. To reach this bistro in 5 minutes, bus users need to head north on Al Ithihad Road towards 8th Street, then turn right onto 8th Street and later turn left in order to get to the destination on the right side. See map for directions.